The chapter integrates all previous chapters into a method for systematic WIS development. The reader is taken through steps for application domain description, architecture design, requirements analysis, and system specification with the co-design method. 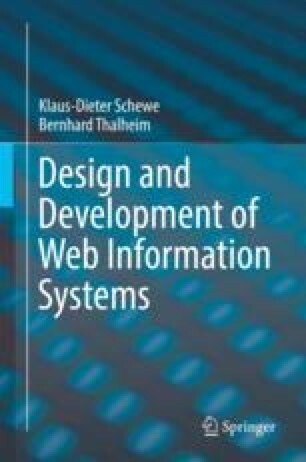 In doing so the chapter links the co-design method with strategic aspects, storyboarding, web interaction types and screenography, and it enhances the method by concrete steps to be applied during the WIS development process.